Few people can have failed to notice the increasing concern being expressed about the Crofting Commission’s treatment of two grazing committees in Lewis and the implications for all grazing committees from these rulings. Yet, the import of these matters goes beyond crofting itself, and could have profound consequences for the viability of many west Highland and Island communities. Without the crofting legislative system established in the late 19th century to protect rural populations, most of us simply would not live in these areas today. The crofting counties today contain the most densely populated rural areas in Scotland, such as the west of Lewis where, without the crofting system, the landscape would have been as empty as some of the cleared mainland glens. At the heart of the crofting tenure system is the common grazings and it is increasingly apparent that the 592,000 hectares of common grazings land represents an astonishing potential asset for the present and the future of our rural communities in some of the most fragile areas of Europe. The new Crofting Agriculture Grant Scheme giving 80 per cent grant support to applications from groups of crofters is a crucial statement of intent from the Scottish Government of the value of grazing committees and cooperative working. With the right support and guidance from agencies, good management of common grazings can help unlock agricultural, financial, environmental, renewable energy, and social and cultural capital. Already, rare but shining examples exist which show how common grazing land can be developed by crofters or in conjunction with community trusts – such as the West Harris Trust’s affordable housing, renewable energy and infrastructure projects, the Staffin Trust’s heritage interpretation and footpath projects, and a range of crofter-forestry and agri-evironment schemes. These examples demonstrate the broad benefits for crofter and non-crofter that it is possible to achieve by working together. Some developments have allowed grazing committees to generate income for investment to improve the common grazings and fixed equiment, which in turn support active crofting and crofters’ incomes. However, at present only around 50 per cent of common grazings have committees and the Crofting Commission’s controversial ruling which is at the heart of the current dispute – namely, that all grazing committees must disburse all income to individual grazings shareholders, and then invoice each of them for any costs – can only cause that figure to dwindle further. Far from encouraging development of this land asset, the Commission’s behavior will paralyse grazing committees’ ability to take projects forward. The Commission states that it must follow the 1993 Crofting Reform Act but to date has been unclear about what parts it is relying on for its actions. This does not accord with the organisation’s stated commitment to “openness” especially when much of how it interprets the legislation is open to question. In particular, the Commission has not answered crofting lawyer Brian Inkster’s argument that its appointment of grazing constables under Section 47(3) is illegal where the Commission itself has put the committee out of office using Section 47(8). In the absence of clarity from the Commission, we must try to work out what parts of the legislation it believes it is using. The Commission claims that crofting legislation requires grazing committees to disburse all income to all shareholders. However, it is only Section 21, covering the removal of land from crofting tenure through an application for resumption to the Scottish Land Court, that gives clear instruction that the grazing clerk is responsible for disbursal of compensation monies to shareholders. Sanctions as a result of failure to disburse resumption monies should therefore surely be against the grazing clerk alone, not the entire grazing committee. But this duty on the clerk to disburse monies only applies in the particular issue of resumption compensation. The part of the legislation that the Crofting Commission must be relying on for this ruling on disbursing all other monies is Section 49 (2)(a)(b)(c) This states that grazing regulations “shall make provision” for “recovery by the grazing committee from the crofters sharing in the common grazings of all expenses incurred…in maintaining the common grazing…and any fixed equipment”. It also allows the grazing committee to raise funds through a levy on crofters sharing in the common grazings. However there is nothing in the legislation to say that all income must be disbursed to crofters, nor that it is illegal to retain income from sources other than the crofter levy. It is also not clear how grazing committees, having disbursed money, can force unwilling shareholders to then contribute financially to projects. Are grazing committees meant to go to the Small Claims Court? Using what finance? This uncertainty about how to manage finance is paralysing grazing committees, with fencing and agricultural contractors seriously concerned that grazing committees will not undertake projects, ironically just as the 80 per cent groups of crofter grants are introduced. The Commission’s stance also puts into question whether grant awarding bodies can responsibly fund projects led by grazings committees. If, as the Commission insists, a grazings committee must disperse a grant such as a forestry maintenance grant with no certainty of being able to get it back from all grazing shareholders in order to undertake maintenance on schemes, then the award of such a grant by a public body would surely be considered reckless management of public money. More concerning, at a time when the Scottish Government has received dispensation from the EU to remove the loophole that allowed slipper farmers – people who leased ‘naked acres’ and claimed agricultural subsidy without owning or managing any livestock – the Crofting Commission has, by this ruling, introduced ‘slipper crofters’. Many grant schemes that grazing committees can apply for require active crofters, who keep land in ‘Good Agricultural and Environmental Condition’, provide and manage livestock in accordance with agri-environment scheme rules or maintain forestry and woodland schemes. However, according to the Commission, all grant monies earned through active crofters must be disbursed to all shareholders, including inactive ‘slipper crofters’ who are in breach of both GAEC and their duties under the crofting legislation to cultivate and maintain and reside on their crofts. It is very difficult to equate this ruling with the policy direction of the Scottish Government. Forestry and agri-environment schemes under the new SRDP specifically state that grants can only be claimed by grazing committees if the participating crofters are not in breach of their duties as a crofter under the crofting legislation. The Crofting Commission’s ruling therefore pits it against government policy and gives grazing committees a stark choice – comply with the grant scheme rules, or face the risk of being put out of office by the Crofting Commission. If a regulator suddenly applies “the law” in a way that differs to how it has previously been applied, it must, at the very least, explain what it believes gives it those powers. A fair regulator would also prepare the people it regulates for the proposed new legal interpretation through guidance, to improve capacity and governance before applying the new rules. Instead the Commission appears to have inexplicably – and without warning or clarification – applied discrete parts of the legislation in order to make an example of these unfortunate grazing committees. It has allowed itself to lose perspective, without thought to the wider implications for the whole of the crofting system and for government policy. This is despite having a primary legislative requirement under Section 1(2) of the Crofting Reform Act 1993 of “promoting the interests of crofting”. It must now explain how it believes this new legislative interpretation promotes the interests of crofting, how it accords with grant scheme rules, how it contributes to the Scottish Governments’ aspirations for the rural economy, and how it will contribute to encouraging grazing committees to be active and ambitious, with all the benefits that could bring. I can personally attest to the fact that brutal and inexplicable treatment by the Crofting Commission is likely to lead to people questioning their own commitment to and confidence in the whole system of crofting. Without that crucial belief and commitment from crofters and grazing committees, there is a risk not only that common grazing land will fail to achieve its full potential, but that the whole system of crofting could collapse. Then the Crofting Commission will have nothing left to regulate. 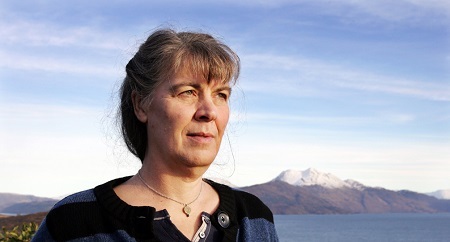 Susan Walker is a former convener of the Crofting Commission, and a crofter in Camuscross on Skye.